Esta lista contém as pessoas com ou sem artigos na Wikipédia que tem ou tiveram durante um momento significativo de sua vida o veganismo como dieta alimentar. Para adeptos do vegetarianismo, veja Lista de vegetarianos. Tobey Maguire, ator norte-americano (Homem-Aranha). Tobey Maguire (ator), vegetariano desde 1992 e vegano desde 2009. Amos Bronson Alcott, professor e filósofo americano. Amílcar de Sousa, médico e autor Português. Chrissie Hynde, musicista estadunidense (The Pretenders). Bryan Adams, cantor, compositor e fotógrafo canadense. Prince, multi-instrumentista, músico e dançarino. Morrissey, cantor e compositor inglês (The Smiths). Moby, cantor e artista de música eletrônica estadunidense. C-drik Fermont (compositor e músico, componente de Axiome e outros projetos de música eletrônica). Sardar Vallabhbhai Patel (primeiro ministro da India). ↑ "", peta.com. URL last accessed on May 31, 2008. ↑ "Andrew G can't live without ..." The Daily Telegraph (Austrália). July 24, 2005. Section: Magazine 46. ↑ "Spotlight on Casey Affleck", Peta2.com. URL last accessed on March 21, 2006. ↑ Robert W. Welkos. "What sent Hannah up a tree." Los Angeles Times. June 16, 2006. Section: Calendar 1. ↑ "Interview with Ed Begley, Jr. Arquivado setembro 15, 2012 no WebCite ", Vegfamily.com. URL last accessed on December 6, 2006. ↑ "Bones' Emily Deschanel." People (magazine). Vo. 65 Issue 17. May 1, 2006. ↑ "", vistamagonline.com. URL last accessed on April 13, 2007. ↑ Sparkle Soojian. "The Green Scene Teens turn to vegetarianism for different reasons." The Fresno Bee. July 15, 2001. Section: Life E6. See also Reed Parsell. "Vegging Out." The Sacramento Bee. July 13, 2002. Section: Travel M1. ↑ "Carla Hall. "A Different Kind of Starring Role for Actress." Los Angeles Times. March 18, 2006. Section: California Metro B1. 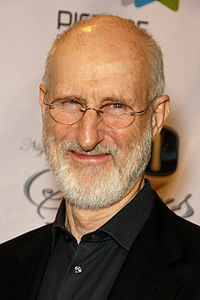 ↑ "Star Bios: James Cromwell", Tribute.ca. URL last accessed on March 21, 2006. ↑ "Joaquin Phoenix: Glabiator Star Battles Animal Abuse", Petakids.com. URL last accessed on March 21, 2006. ↑ "Q+A: Kevin Nealon." Los Angeles magazine. Vol. 51 Issue 6. June 1, 2006. ↑ Sarah Casey Newman. "Linda Blair returns as animal activist." St. Louis Post-Dispatch. September 11, 2004. Section: Lifestyle 33. See also Linda Blair's book Going Vegan, Sunny Harris Inc., (2001). ↑ "Interview with Lynda Stoner", AnimalLiberation.org. URL last accessed on December 11, 2006. ↑ Jennifer Tung. "Television Nearly Destroyed Me", New York Post. June 14, 1999. URL last accessed on December 11, 2006. ↑ "", vegansociety.com. URL last accessed on March 21, 2006. ↑ Christopher Robbins. "Last Take on the Club Scene: River Phoenix." The Times. November 20, 1993. Section: Features. ↑ Chloe Diski. "My favourite table: Summer Phoenix at the Candle Cafe." The Observer. March 10, 2002. Section: Food. ↑ "The world according to Woody Harrelson", Toronto Vegetarian Association. URL last accessed on March 21, 2006. ↑ Alimentava-se de fruta, frutos secos e saladas.O Vegetariano: Mensário Naturista Ilustrado, III Volume, 1912, p. 183. ↑ Clara Endicott Sears, Bronson Alcotts Fruitlands, The Riverside Press Cambridge, 1915, pp. 38-39 ; Rynn Berry, Famous Vegetarians, Pythagorean Publishers, 2003, p. 133. ↑ . URL last accessed on March 19, 2008. ↑ "See also Maria Croce. "Green for go if you're Vegan." Daily Record (Scotland). October 31, 2006 (26). ↑ Devin Rose. "Singer Jaci Velasquez: People Haven't Given Up." Chicago Tribune. December 7, 2003. Section: Q2. ↑ Keith, Shannon. Behind the Mask, Uncaged Films, 2006. ↑ "", Jona´s myspace. URL last accessed on March 20, 2008. ↑ "", Kevin myspace. URL last accessed on March 20, 2008. ↑ "Curd is the Word, A vegan diet avoids all things animal." Syracuse New Times. January 28, 2004. Page 15. ↑ "20 Questions with Tom and Tim", Chart Attack, June 1999. ↑ Sam Allis. "It's Not Curtains Yet for Famed Director Peter Bogdanovich" Boston Globe. April 28, 2002. Section: Arts & Entertainment L13. ↑ Episódio "Lisa a vegetariana"
Esta página foi editada pela última vez às 01h44min de 3 de março de 2019.